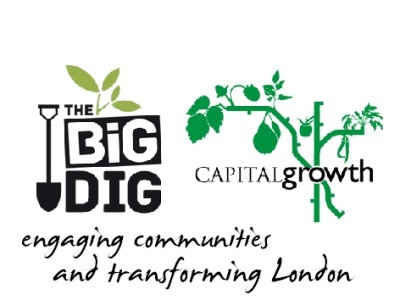 Compost direct are pleased to be supporting the Big Ideas: Capital Growth and The Big Dig by providing prizes and discounts to those involved in the projects across the country. Capital Growth aims to transform London by creating 2,012 new food growing spaces by the end of the year whilst the Big Dig is a nationwide project aiming to engage young and old people in community food growing projects across the country. Compost Direct is proud to be providing compost, topsoil and various other gardening essentials to sites involved in these projects to help rejuvenate poor soils often found in city gardens and contribute to increasing food growing spaces across the nation. "We are delighted to be supporting The Big Dig and Capital Growth. With our history in farming and our diversification into recycling through our compost business we are delighted to be working with Sustain: the alliance for better food and farming. We hope our products will help support the growth of community food growing projects across the country through the Big Dig project"
Proud to be working with the NASLG and supporting its members. We are proud to announce that we are the chosen suppliers of compost and topsoil to The National Society of Allotment and Leisure Gardeners. This national organisation seeks to provide, promote and preserve allotments for all and uphold the interests and rights of the allotment community across the UK. It therefore gives us great pleasure to be their chosen compost supplier and we look forward to supporting them over the next 12 months.